Short article, with TV Tokyo’s Makoto Shiraishi talking about how Keroro became an increasingly household name after starting out as a more otaku-oriented franchise. 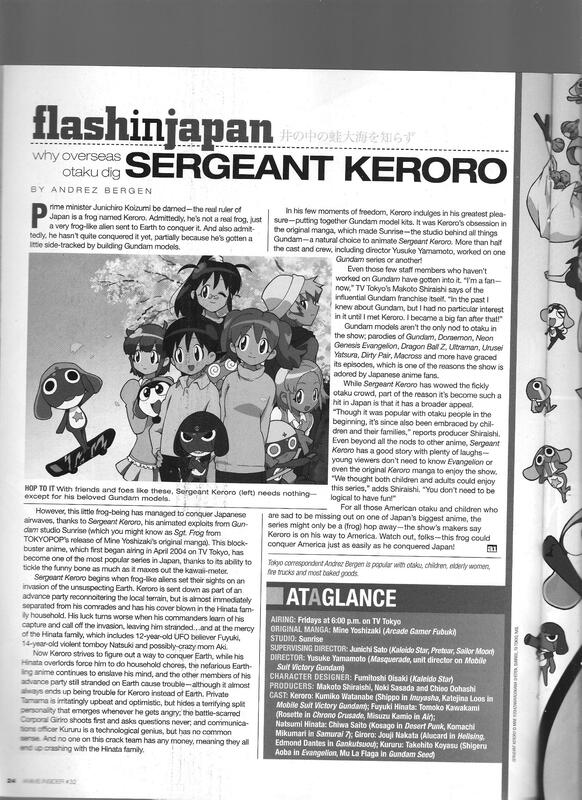 This entry was posted in Old Magazine Articles and tagged Anime, Borderline Plagarism for the Freedom of Information, Keroro, Makoto Shiraishi by torisunanohokori. Bookmark the permalink.